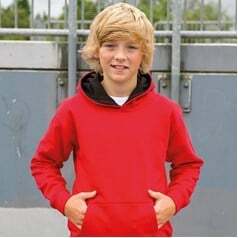 AWDis offers one of the largest collections of hoodies and hooded sweatshirts on the market. 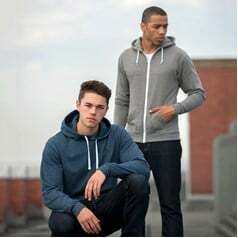 Hoodies are one of the most comfortable, stylish clothing options for good reason – they offer warmth, softness, and a casual look for wearers of all ages. Just Hoods has perfected the hooded sweatshirt design. Offering ten different styles of sweatshirt in 45 individual colours, Just Hoods allows you to express yourself even in a basic hoodie. From conservative basics like black and white to bright, hip colours, the Just Hoods range has something for everyone. Their sizing is as varied as their colours, and Just Hoods offers nine sizing options to fit everyone from children to plus-sizes. 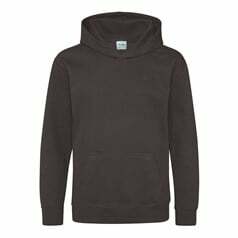 Just Hoods recognizes that hoodies are one of the fast growing areas in the promotional clothing industry. Each Just Hoods hoodie is easily personalized for your brand. 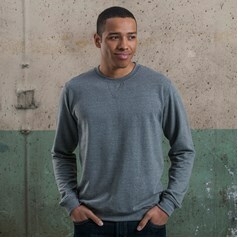 Customers will love the way they look and feel in their Just Hoods hooded sweatshirt.